EVER DREAM THAT YOU’RE NAKED? 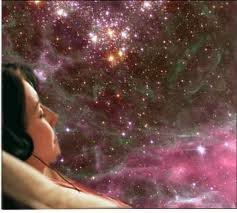 Dreaming is an interesting indicator of whether your not you are living life in crescendo. For example, if your dream has you suddenly realizing that you’re naked in public and embarrassed, you’re probably trying to be something that you aren’t. However, if your dream has no one noticing that you are naked, this means that your fears are unfounded–you are thus magnifying your situation. Even more significant, if you dream that you are proud of your nakedness and show no embarrassment or shame, then it symbolizes your unrestricted freedom. If you have nothing to hide, you are proud of whom you are. Another common dream is that you are being chased. The pursuer or attacker who is chasing you in your dream may represent your own feelings of anger, jealousy, fear, or possibly love, which manifest as the threatening figure. If you can, turn around and confront your pursuer to find out from what are you trying to run away. On the other hand, if you are the one doing the chasing, then your dream may highlight your ambition to pursue a goal. It could also suggest that you’re trying to catch up with everyone else in his or her conquests. At least, you’re on the right track if you’re pursuing something. Ever dream that you’re taking an exam and your pencil keeps breaking, or the test is in a foreign language, or worse you missed it all together? These dreams indicate a lack of self-esteem or confidence or suggest that you are feeling unprepared for a challenge in your waking life. It’s not about the questions but the process of failing the test that parallel how you are actually feeling about a particular challenge. No one is ever completely prepared for the experiences of real life and your dream isn’t telling you NOT to challenge yourself; in fact, it’s motivating you to be as prepared as possible. Flying dreams fall under a category known as lucid dreams– you become aware that you are dreaming. If you are flying with ease and are enjoying the view below, then it suggests that you are on top of a situation. You have risen above or gained a new perspective on your challenges. The ability to control your flight reflects your own personal sense of power. Obstacles like trees or buildings that you can’t fly over symbolize something or someone who is standing in your way in your waking life. You need to identify what or who is trying to prevent you from moving forward. Difficulty flying may also be an indication of a lack of confidence or some hesitation on your part. You need to believe in yourself and not be afraid. The opposite of flying is falling. Logically, this represents a loss of control or a sense of failure or inferiority, possibly in your career, school or personal life. It’s quite possible to have this dream when you’re pursuing a goal and not getting there yet. One thing is for certain: if you are pursuing goals and live life in crescendo, then you will also be having some interesting dreams while you sleep. Tell me what are yours. HOW MUCH DOES IT COST TO DREAM?